For those of you out there with something to say in the written form, particularly the three-line haiku written form, then your 17-syllable masterpiece could end up on Mars. No, not that Mars. The planet Mars. As part of their upcoming Mars Atmosphere and Volatile Evolution (MAVEN) spacecraft launching in November, NASA is encouraging anybody who is interested to submit their name and a haiku poem to be put on a DVD that will make the flight to Mars as a part of the MAVEN mission. This will be the first time anyone will attempt to explore Mars’ upper atmosphere. Most coincidences that happen during your average day are admittedly trite, such as singing a fairly popular song at the same time that song comes on a popular radio station. But this is probably the greatest coincidence ever. At least on this planet. …they believe this supernova’s explosion is the same one that led to the formation of our solar system. I mean, I can’t even find my license in my wallet sometimes, and these guys are finding pieces of the post-Big Bang universe. These “guys” are Pierre Haenecour of Washington University in St. Louis and Xuchao Zhao, now a scientist at the Institute of Geology and Geophysics in Beijing. Both rocks’ silica grains — which are invisible to the naked eye and had to be magnified 20,000 times for the investigation — contained oxygen-18, unlike other grains found that only contained the lighter oxygen-17, which is thought to be created only by living stars. Haenecour and his team then tried to figure out how exactly these grains could have been made. Once again, our guide through this bit of science badassery is Canadian Space Agency astronaut Chris Hadfield, who spends his off-the-clock time up on the International Space Station answering viewer-submitted questions about crazy space stuff such as the above. In the past, he’s demonstrated how astronauts wash their hands, what happens if they cry, and even how to make a tasty serving of space nachos. We kind of love the guy, and we’ll be sad when he finally joins us back down here at the bottom of the gravity well. In Jules Verne’s classic book, the eccentric Phineas Fogg leaves his peers gobsmacked when he bets them that he can circumnavigate the globe in 80 days, and then does exactly that. Now University of Washington researchers have a proposal that would undoubtably put a smile on Mr. Fogg’s face: they’re working on a fusion engine that they suggest could cut the travel time to Mars down to a mere 30 days. That’s genuinely jaw-dropping when compared to NASA’s estimated travel time for a round-trip journey using conventional rockets: a whopping four years. One of the biggest obstacles to expanding further into our own solar system is the sheer cost and the amounts of fuel required to get you from here to wherever you’re going. 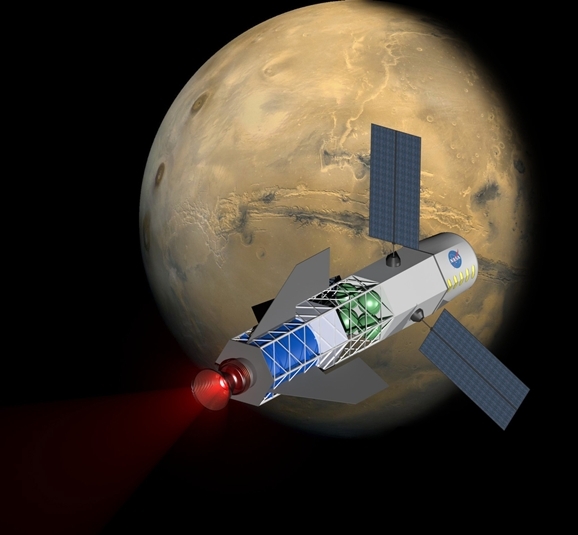 But the proposed fusion-powered vessel wouldn’t require the massive payload of fuel, and the key process could be powered by solar energy collected during the voyage. If you think NASA’s latest scheme sounds like it was lifted directly from Michael Bay’s Armageddon, then you’re not alone. The plan is to capture a small asteroid using a robotic probe and then relocate it to somewhere around the moon. This would all go down in 2019. Astronauts would then begin playing around and exploring the asteroid a few years later, in 2021. If this happens, it will be the first time that humans have gone beyond the low levels of Earth’s atmosphere in decades. The last time we broke that barrier was in 1972 with Apollo 17. 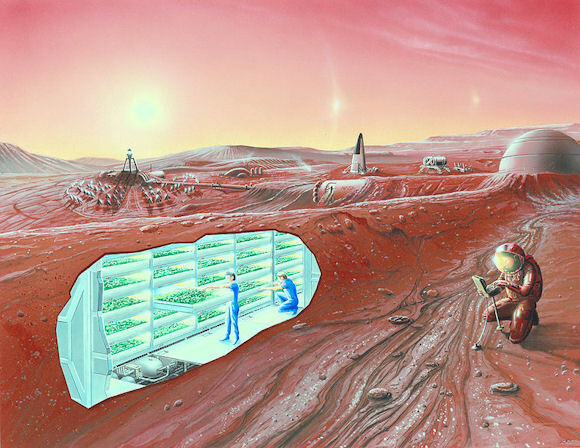 Some theorize that this could lay the groundwork for a future mission to Mars. Though there hasn’t been an official announcement from NASA, both Senator Bill Nelson, a Democrat from Florida, and an unnamed White House official have let it slip about this plan. Nelson is himself a former astronaut—he flew on Columbia in 1986—and serves as the chairman of the Senate Science and Space Subcommittee. According to a press conference Friday, the plan involves a diminutive robotic probe, which will attempt to grab an asteroid in a device that is described as “a baggie with a drawstring.” Don’t you love it when they get all technical?